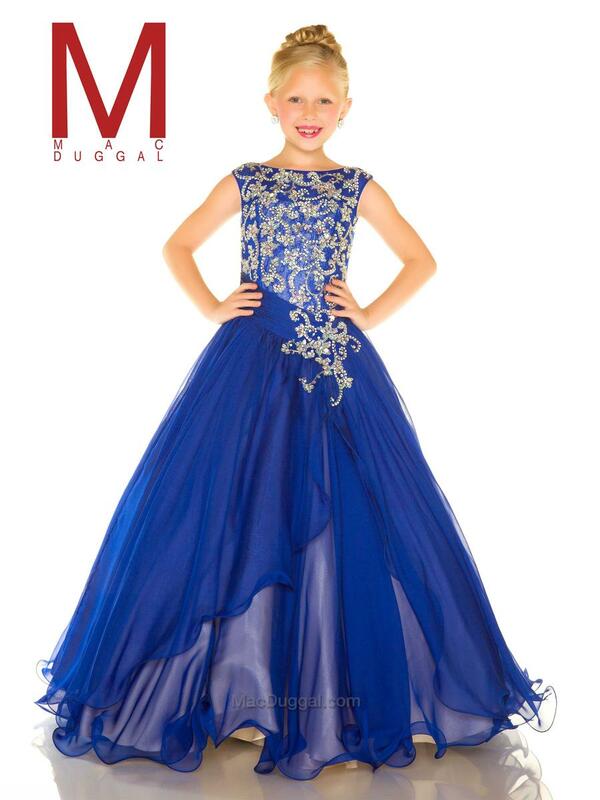 As your pageant princess walks across the stage, this stunning royal little girls pageant dress is picture perfect. With a sleeveless bodice, gorgeous embellishments of AB stones and crystals that line the bodice in a twisting floral vine pattern. A ruched waistline features a cluster of more stones along the side, while more embellishments wrap around the back. A full skirt of soft chiffon with an american netting overlay creates a voluminous skirt.